Perhaps the most important aspect of all that is that whilst the journey remains important from both a pleasure and safety point of view, the key focus is now clearly on enjoyment of the precious time you get at any particular anchorage. One of the main elements there is that weather forecasting and routing are now more accurate and reliable, and when coupled with faster vessels, passage planning is made easier, and of course, way faster. 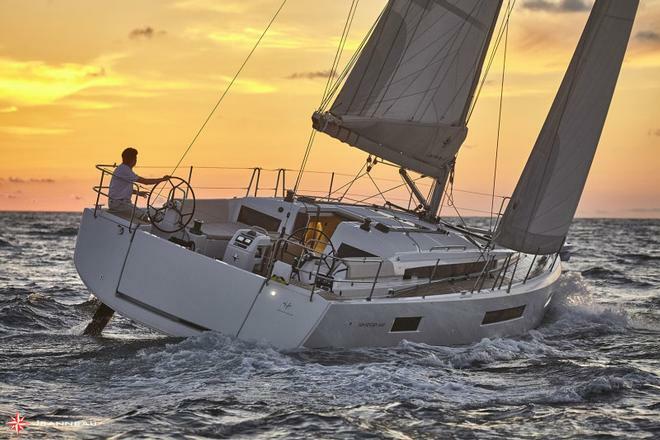 Recently, Jeanneau announced the latest arrivals to their very popular Sun Odyssey range. Trends started not that long ago, like distinct chines, and voluminous hull forms continue to evolve. Others made their mark more recently, but now become even more obvious. A bit like Star Trek, space has become the final frontier, and whilst light, airy and spacious offerings down below might have been around for two product generations now, today we start to see that very ethos being applied to above decks. Yes the multihulls created this paradigm, but the application into the monohulls had to allow for both the ambience and the aesthetic to be combined with points of sailing. In this way, the monohull created a different offering to the multis, no matter whether it was to be for salties or newbies. Naturally, this is essential, so that the differentiation was clear and marked, and not only reflected in the number of hulls or the size of the pen (slip). One of the first things to occur was the essential running rigging coming back to powered winches just in front of the binnacles. Having everything in hands' reach was a lesson well learned from the solo sailors, and makes short-handed cruising a blissful experience. Running them inside removed finger issues smartly, so that non-sailors could sit in the cockpit with ease, comfort, and almost nary a worry. So the new Sun Odysseys had to then add more, and the walk around decks, dare we say like a powerboat really, meant no stepping up and over, which all aids safety. Again, this is a boon for cruisers, and anyone who has had to hoist a MOB back up on board via a halyard will testify to that. Today, the swim platform makes it a lot easier, but of course, it is one of those problems best not have in the first place. Having the D1s inboard, and the V1s on the gunwale also makes for clearer and safer passage up to fantasyland, as well as providing for good handholds on the way. Back in the cockpit, and the coamings that fold out to make grand, luxurious lounges of the cockpit seating look awesome. Of course, for those who live in UV devastating areas, the way the dodger and Bimini now combine to offer shade will be an interesting development. 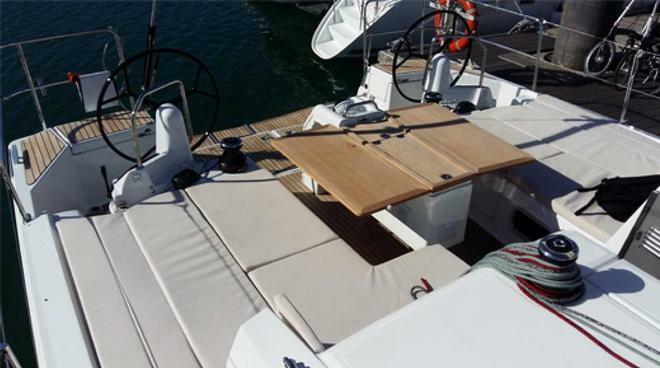 All in all, these Jeanneau's set up a good way for the monohull to stay fresh and exciting, as cats continue to steal the show somewhat. Now speaking of shows, the one in Sydney looms large, and of course, there'll be plenty to look at, which is just great. Everything seems to be getting bigger, no matter whether it is one lump or two, and we will be sure to investigate first hand, all that we can. 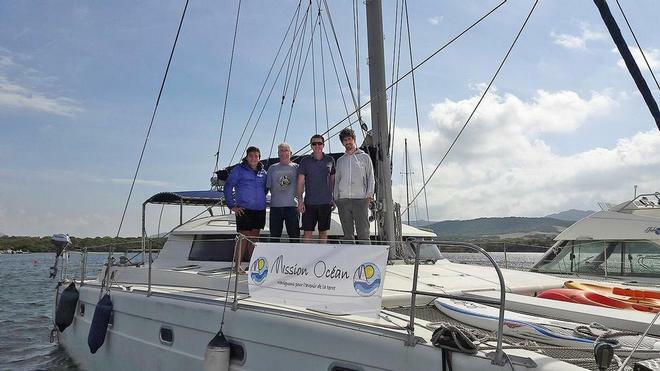 It is also very good to have Mission Océan on the pages after a wee spell to get their new-to-them boat back to continental Europe. There will be more soon from them and a bit after that, the grand, three-year expedition will begin. Well done to Laura and Henrique for getting it to this point. Smashing job, and the tales that are to come will no doubt be both inspirational and informative. OK. Back to the business of newsletters, and this time you will find that we have tales for you about Jon Sanders, the scourge of the oceans – plastics, East Coast USA, Race for Water, the British Virgin Islands, official notices, the ARC, Sunfish, derelict vessels, Tahiti, new boats, shows, Scandinavia, Hamilton Island, Cheeki Rafiki, Confederation in Canada, eco disasters, rescues, as well as much more.